Suffolk Housing wanted a secure, flexible and easy way for their residents to make payments. A variety of payment options were required and cost efficiency was key. PayPoint’s multi-channel payment solution, MultiPay, was the perfect fit. A combination of the cash in-store and online payment channels were chosen and both were introduced within weeks. Working directly with PayPoint gave Suffolk Housing the flexibility to choose which elements worked best as a payment solution for their residents. The introduction of payment cards meant that Suffolk Housing was able to close down their cash office, saving substantial costs that can be invested elsewhere. It also meant that the team who collected cash payments from tenant’s properties were no longer required to do so, reducing the risk to staff safety and freeing up their time to focus on other areas. One of the main benefits is the speed of payment to customer accounts. Customer payments are transmitted daily overnight to Suffolk Housing so that customer accounts are credited quickly and directly within just a few hours. The transaction files can be accessed by 9am the following morning, meaning enhanced control and visibility of all payments. Payment cards were supplied to all residents so they are now able to pay at their convenience in over 250 retailers across Suffolk, 90% of which are open more than 80 hours a week. 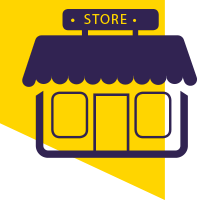 Most stores are open early ‘til late, 7 days a week and include convenience, newsagent, forecourt and multiple retailers that open longer hours than traditional retail outlets. In addition, residents can also pay their bills at any of the 28,000+ retailers across the UK. With 99.7% of the UK’s urban population within one mile of a PayPoint retailer and 98.6% of the UK’s rural population within five miles it means that a single network proposition was implemented without affecting service levels. Residents are also able to pay with a payment card online. 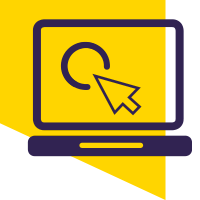 The online portal is easy to navigate and can be accessed on any device across all browsers and software systems maintaining excellent user experience throughout. These two methods of payment give residents the flexibility to choose how they pay using a method that suits their lifestyle wherever they are and whatever time of day.